San Diego Unified plans to rebuild Memorial Prep, and construct a new high school structured around career pathways. So why do leaders think the approach shows promise? And what, exactly, is a career pathway anyway? 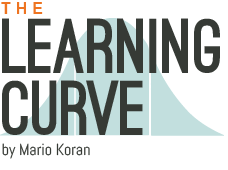 The Learning Curve is a weekly, jargon-free column that answers questions about education. Have a question about how your local schools work? Write me at Mario.Koran@voiceofsandiego.org. This week we reported on a major development in San Diego Unified. School board trustee Richard Barrera recently announced plans to rebuild Memorial Prep in Logan Heights, the district’s oldest middle school. A new, adjoining high school will also be built. Logan K-8 will most likely close for good. It’s not going to be cheap. Barrera said it could cost well in excess of $100 million. A district official said it will be the biggest project on a single school site to come out of Prop. S and Prop. Z, two voter-approved construction bonds passed in 2008 and 2012. Memorial Prep hasn’t just gotten a price tag. It’s gotten a vision. The high school will be structured around career pathways – based on regional workforce demands – and the middle school will prepare kids for those pathways. So, why these kind of schools, and why now? Both Barrera and City Councilman David Alvarez have had a lot to say about the latter question. Important to understand is that Memorial Prep, once a beautiful campus, is now hanging by a thread. That is, it’s the district school that neighborhood parents avoid the most. In the past 20 years, it’s turned over from district school to charter school and back again. The campus itself has been carved up and divided between three schools: Memorial Prep, Logan K-8 and a King-Chavez charter school. Alvarez said he’s talked to many parents in the Logan Heights and Sherman Heights communities who are happy with their local elementary schools, but just don’t see Memorial as a place fit for their kids. And, if the district is going to build a new school in the neighborhood, it makes sense to do it now, while there’s bond money to spend. But “why career pathways?” is a question that requires more groundwork. For example, what are pathways? The question doesn’t just pertain to San Diego Unified. Districts across the county and state are seeing the value in simultaneous career and college preparation. Pathways are often part of this broader effort. At first glance, career pathways sounds like the latest way to rebrand vocational schools – which historically haven’t always been good things. That is, they separated college-bound kids from those who are destined to head straight to work. The danger in this approach, often called “tracking,” is that educators predetermine kids’ futures based on their expectations for them. And, sadly, those expectations are all too often determined by things kids can’t control, like race and socioeconomic backgrounds. But there’s a growing sense that college versus career preparation is a misguided debate: It doesn’t have to be an either-or situation. It does, however, take a lot of thoughtfulness and planning from school leaders to successfully prepare students for both options simultaneously. Career pathways have been around for a while, often existing within traditional high schools. Sometimes these are called Career Technical Education courses. At its most basic level, career pathways consist of sequential courses, the goal being that students graduate prepared to work in an industry. Freshman media students could take a journalism 101 course, for example. The next year, maybe they take a course in broadcast or print journalism, then an advanced media course. In their last year, they could spend a lot of time in an internship at a newsroom. But in the past 10 years, there’s been a growing awareness that this approach has been missing the mark. Many students were taking career-prep classes but leaving high school prepared neither for college or the workforce. At themed schools, learning can be focused on one area or industry. The same cohort of students takes a sequence of career-prep courses, as well as their core content courses, like math and English. Linked learning takes that a step further. A linked learning pathway is geared toward a specific industry, but there’s an effort to bring teachers from various disciplines into the fold and have them plan lessons and projects together. The learning environment can feel more personalized. Students are taking the same A-G, college-prep courses their peers in traditional high schools are taking, but coursework is tailored to their school’s theme or industry. “Much of Kearny’s curriculum is rooted in the real work of engineers. In one semester-long project Sical and nine other students planned a redesign of two blocks in downtown San Diego. She and her classmates scouted the area, which included a high-rise hotel, restaurants, and an underground parking garage. Each student was assigned a role, such as superintendent or foreman, and each oversaw a particular aspect of the redesign, such as water service, electric power, or telecommunications. This type of project-based learning and contact with industry professionals are just two components of a solid linked learning program. The approach is picking up steam. Last year, California gave $250 million in competitive grants to develop linked learning programs, and planned to match that amount this year. There are currently 21 high schools in San Diego County (nine of those in San Diego Unified) that offer at least one linked learning pathway. This is what San Diego Unified leaders envision for the new high school on Memorial’s campus. Courses at the adjoining middle school could prepare kids for the high school pathways. Does it work? The results are encouraging. While standardized test scores are about on par with traditional high schools, there’s evidence that students in linked learning pathways have better attendance rates, earn more credits and are more likely to graduate. More impressive is that a high percentage of those are students of color who’ve traditionally fallen through the cracks. Laura Kohn is executive director of Education Synergy Alliance, which connects school leaders to programs that have proven effective. Kohn has helped drive much of the linked learning efforts in the county. I told Kohn my biggest concern about linked learning is whether it’s just a new way of marketing an old idea. Couldn’t this result in the same time of two-track system where some kids go to college and some kids go to work? “It’s hard for all of us to let go of this assumption that there are two tracks,” she said. Kohn acknowledged that linked learning isn’t an off-the-shelf program. School leaders still have to be incredibly thoughtful about supports they offer and how lessons are planned. But she said there’s a major paradigm shift occurring in the region and in California: Both educators and employers want to see students doing more career-themed learning and more thinking about their futures while they’re still in high school. If you look at a school where linked learning is working, like Kearny High, some of the reason for the success are not all that mysterious. When teachers get together and plan, lessons and projects are bound to be better. When principals have expectations for students, help them set goals and strategize, students stand a good chance of getting there. Kohn said that choice is also a major component of linked learning that isn’t always talked about. When a student actively chooses the pathway they want to follow, they may also be more likely to engage than they would in a school where they’re automatically routed. The key for a school like Memorial, which leaders want to serve neighborhood kids, is to have enough variety in the pathways to appeal to a broad group of students. How district leaders pull that off will be an interesting story to follow. I’ve been writing a lot about segregation in San Diego Unified in recently, and it seems like this author and I are on the same wavelength. In this article, Janie Carnock touches on two programs that could be expanded for school districts trying to break up the segregation of Latinos, who are the most segregated students in California. More dual-language immersion schools and magnet programs, please. This is especially relevant to San Diego Unified’s interest, given its ongoing neighborhood schooling plan. This school in Brooklyn has done the hard work of strengthening its instruction and improving student outcomes. But, as leaders are discovering, turning around a reputation is almost as challenging as turning around the school.